When a new product hits the market without much anticipation, the seller’s early stages of growth can be painfully slow. This can be the case in both niche markets that have not entered the mainstream, as well as in mainstream markets where the product needs time to differentiate from the competition. But after a slow start, what is the motivation to keep going instead of scrapping the product and moving on? 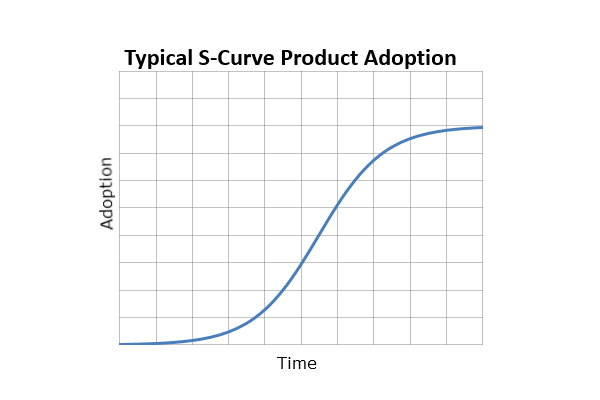 The S-Curve, or logistic curve, shows the path a successful product will take on its journey. While this graph simply looks like a high sandwiched between two lows, there are important considerations at each stage in order to facilitate future success. The shallow beginnings of a product cycle can be tough to weather. This is a time when being able to operate in niche markets is key in establishing early adopters and investors. The length of this stage in the cycle will depend on a number of variables, including the initial investment, competency in establishing an early market, and ultimately, whether there is a market need for the product. This last variable is perhaps the most significant. 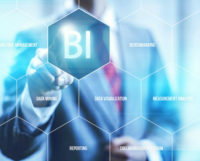 In the early stages of a product, it will be critical to determine if any issues that arise are due to a flaw that can be addressed, or a flaw from which the product’s reputation can’t recover. In recent years, this area has been tested with the introduction of the “phablet,” which is a smartphone product that has a larger screen than a normal smartphone, but smaller than a tablet. When Apple released their iPhone 6 and 6 Plus models, early adopters were quick to point out a flaw that allowed the phone to bend far too easily, damaging the touch pad and screen resolution. Victims of “Bend-gate,” as it became known, were able to get a new phone and Apple eventually addressed the flaw, but the phablet market had taken a direct hit. Several years later, Samsung came out with the Galaxy Note 7, another phablet product. Early adopters to this item were, unfortunately, the people who had to come back and report that the phone’s batteries were creating excessive heat to the point where some would start on fire. Samsung had to issue a worldwide recall within months of the product’s release. It remains to be seen if the phablet market will ever recover from these ills, or if smartphone companies will simply discard the concept. They will likely keep trying, but will likely spend some more time in the shallow beginning of the curve until the products are able to prove consistently higher quality. The rise is, of course, the fun part. The product has been vetted by aficionados, and now the buyer market and production begin an exponential increase. The difficulty is in knowing when you will reach the peak and sales will begin to level off. Trying to raise production rates to stay ahead of growing demand will keep customers happy, but eventually that growth will level off. Not having an understanding of where that plateau may start could lead to over-production of the product, which then leads to a host of other problems related to holding inventory. This is why many technology companies are starting to prefer selling subscriber services instead of hardware devices. A hardware device is a one-time purchase that takes up space, while subscriber services bring in consistent revenue, allow for remote technical support, and don’t require inventory space. The S-Curve is a logistical tool that can be a great predictor of future trends. At this point in time, there are growing markets that still find themselves on the shallow end, waiting for the time to come when their product has reached its functional peak and can begin mass production to get it into more hands. Cell phones went through this process, as did smartphones and video game consoles. Most recently, the AI market is reaching early adopters and getting ready to approach the next level. How quickly they get there will depend heavily on how much work they put into these early stages.